This is our first interview of the 2017 campaign and what a way to start it off! Today we speak with Rafael Esquer in location at his studio (Alfalfa Studio) in SoHo, Manhattan. We start off getting to know Rafael on a personal level. We learn where he came from and how he came to United States from Mexico with his Family. We then dive into how he became a designer and opened up his own studio in Manhattan. 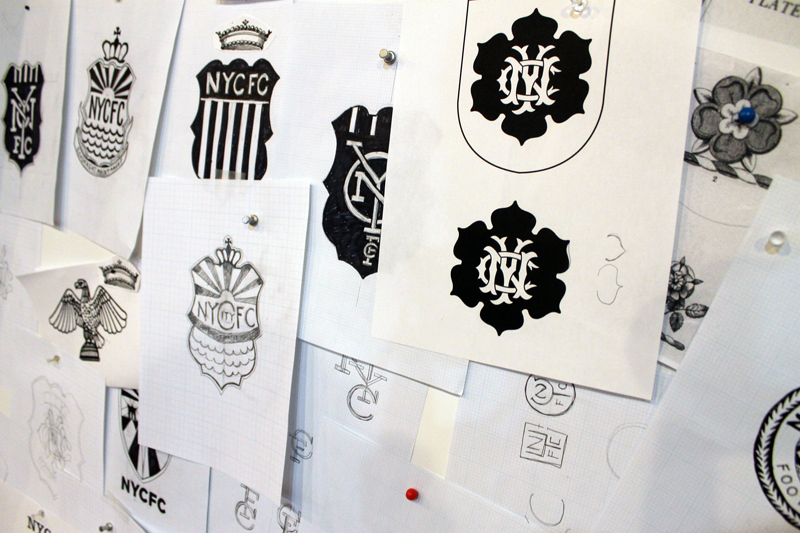 Next we explore his entire process of creating the New York City FC badge we all love to wear. 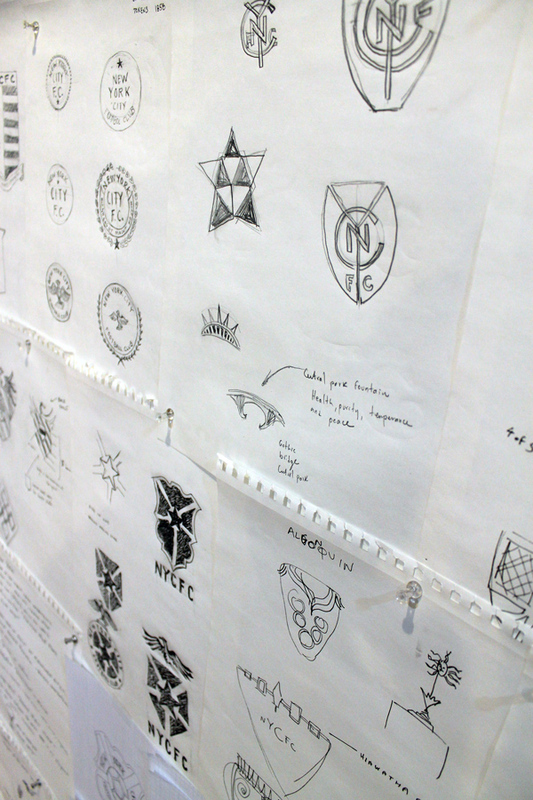 From competing against twelve other designers to taking a flight to visit Manchester and CFG personnel, Rafael paints an elaborate timeline about the creation of the NYCFC badge. 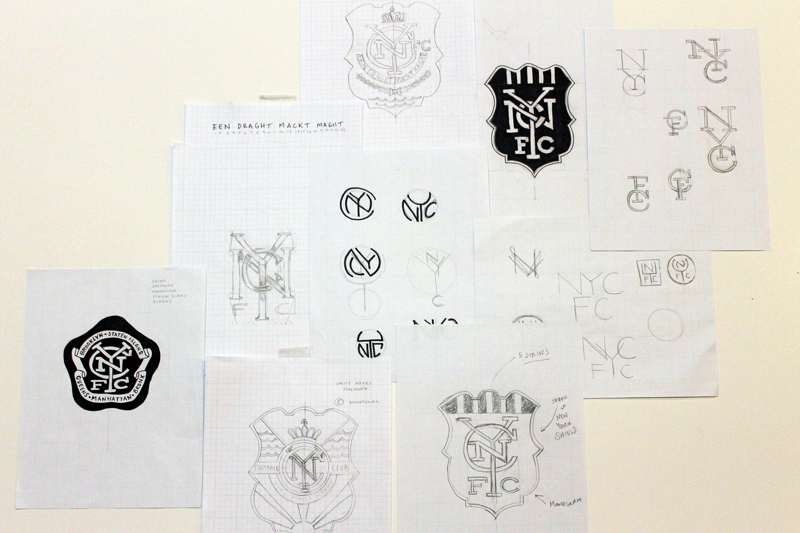 Check out some of the images from his design process below, including rejected NYCFC badges that never made the final cut. Rafael did countless hours of research before even considering starting a design. Here you can see where some of his research led him. He didn’t just stop looking at New York City for inspiration. 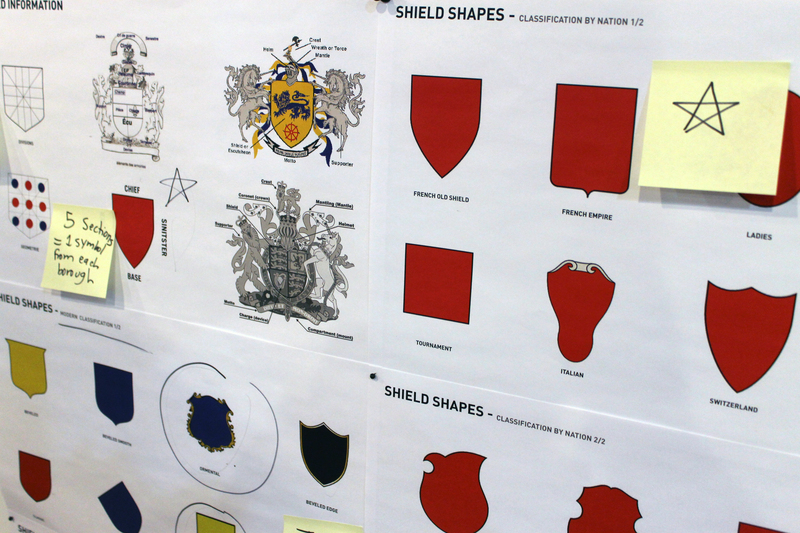 He wanted to design a badge that was timeless and could fit in anywhere in the world, from MLS to England or Australia. 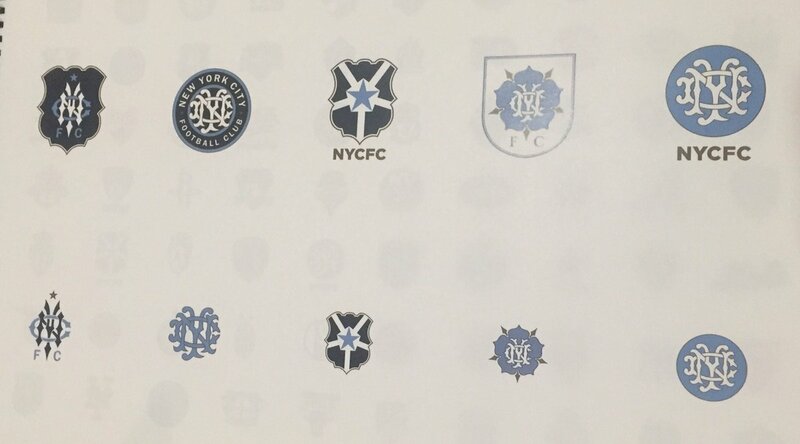 Funny enough, City Football Group loved his design ideas so much that they took the idea from NYCFC’s logo and ended up incorporating it into both Melbourne City and Manchester City’s badges, giving them new looks based off of NYCFC. 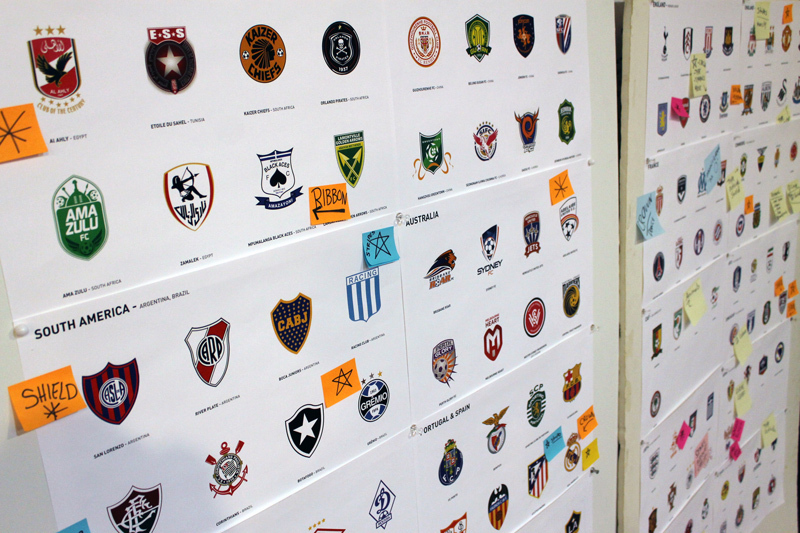 Design ideas came from clubs around the world as well as blank templates. Once he got a better idea of what he wanted to do, Rafael started putting his ideas to paper. 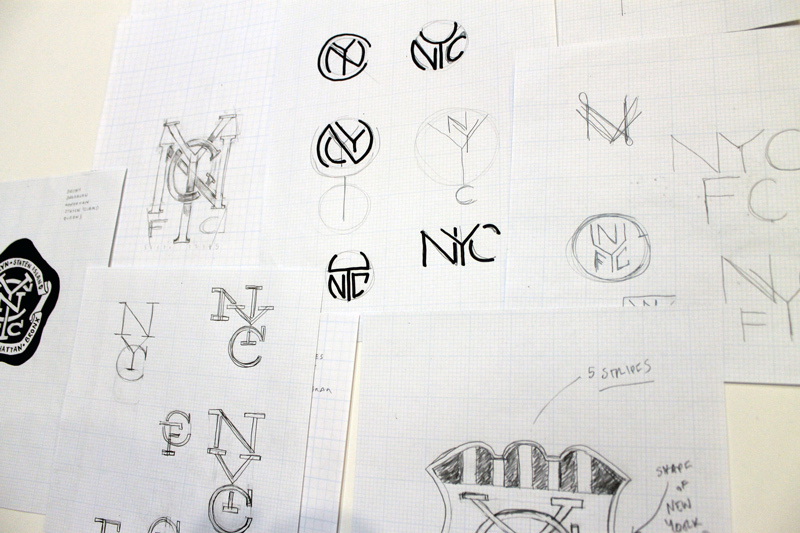 Here you can start seeing the initial ideas that ended up becoming that NYC monogram. 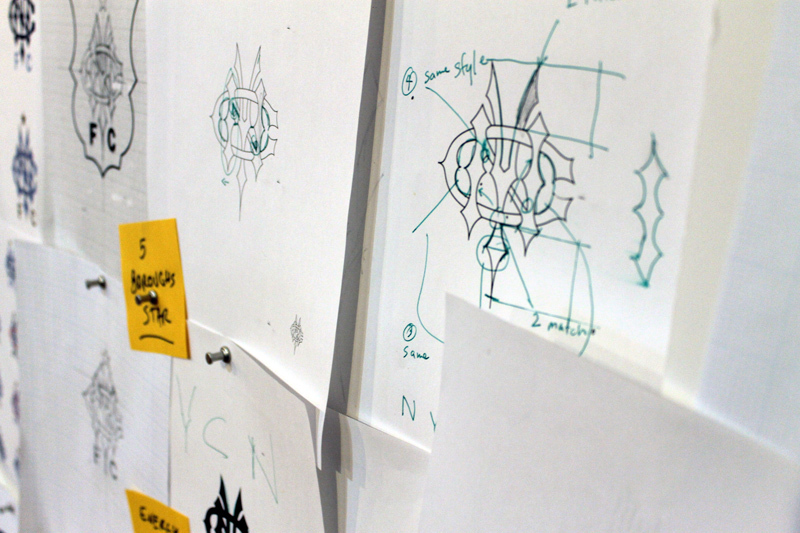 Different ideas and sketches emerged early on. Here we finally start to see the final 5 ideas he would present to City Football Group and NYCFC. 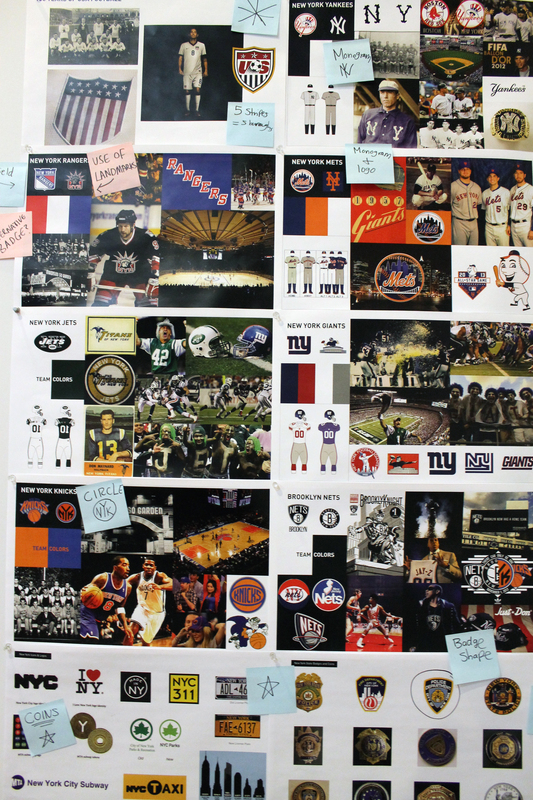 Here are the final five images Rafael showed to NYCFC in his initial presentation. Claudio Reyna, Ferran Soriano and the rest of the CFG team were sufficiently impressed. They liked what they saw and decided to hand him the job. Ultimately, the rest is history. 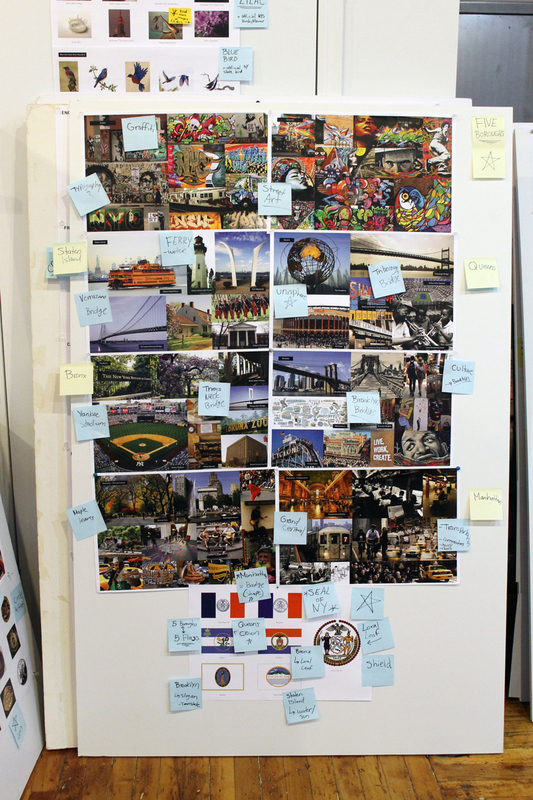 A lot of work and small tweaks went into his final designs and NYCFC ended up narrowing the designs down to two. Those final two designs would then be shown to the public and fans would vote on which of the two designs they liked most. Over 100,000 fans voted, and by an overwhelming majority selected the badge we now know today. The circular clean badge beat out the NYC inspired badge. 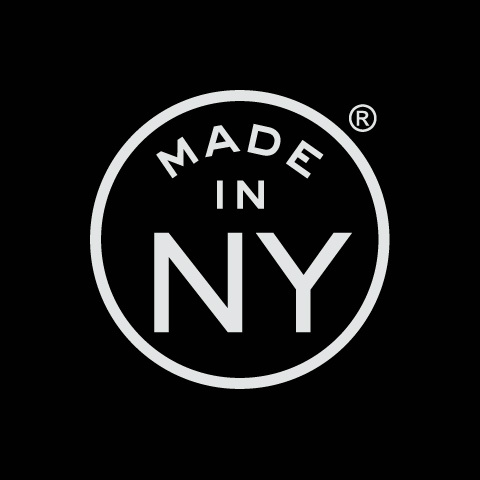 You can check out Rafael’s website here, where you can see some of the other designs he’s worked on which you’re probably already very familiar with such as the “Made In NY” logo used in film and tv productions. Below is the Iconic Manhattan poster we spoke about briefly on the podcast. If you’re interested in picking up a copy, here’s a link.